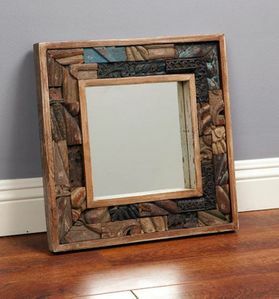 If you're looking for a truly unique piece of cabin furniture, then Eastern Rustic mirrors should be on your list. These unique mirrors run the gambit from simple and elegant to avant garde. Each one is hand made from talented and gifted artisans that use only Kikor, Sheesham and Acacia hardwoods as well as reclaimed wood. Each piece has the look and feel of the Old West and will be a fun and unique piece of cabin furniture.